In this chapter, coastal geo-hazards are introduced and large research projects on this issue are summarized, the definition of sediment erosion and resuspension is given, finally, a literature review is given on the observational, experimental, and mathematical research advances regarding sediment erosion and resuspension. Consequently, the mainstream scientific question of this book is outlined. 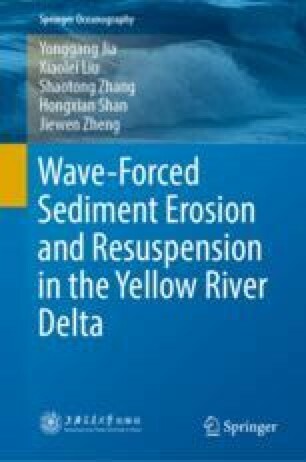 That is, the total book is targeted at improving the modeling effect of silty sediment erosion and resuspension, through considering wave-induced pore water pressure responses, that are poorly considered in popular sediment transport models.